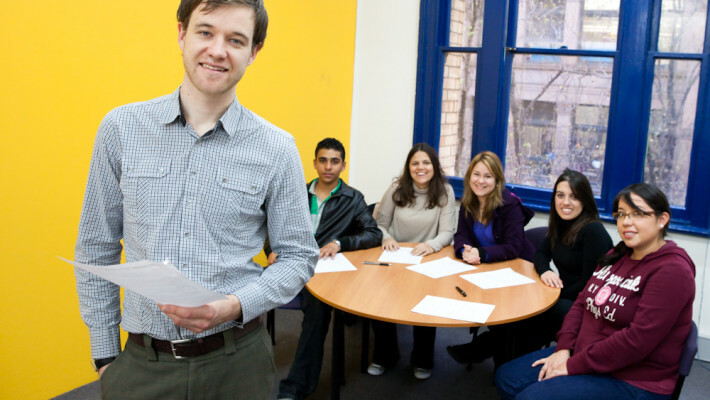 International House is recognized worldwide for the high quality of teaching English for international students and for being a specialist in the training of teachers who are qualified to teach English. • Dynamic and modern teaching methodology. • Flexibility to change shifts, units and English Language Courses without additional fees. • Cambridge Test Center, Cambridge - Paper Based (City) & Computer Based (Bondi) exam offer. • Specialized teaching program for the adolescent public, between 12 and 16 years, in the unit of Bondi - English for Teens. • Job Club and other resources to help students find work. • Opportunity for Pathway with technical and university education institutions. Located in the heart of Sydney city, close to the main tourist attractions of the city: Sydney Opera House, Harbor Bridge, Darling Harbor, Hyde Park, Chinatown. The school has a capacity for 350 students with 17 classrooms and two areas dedicated to the student with, tables, sofas, equipped kitchen and computers.